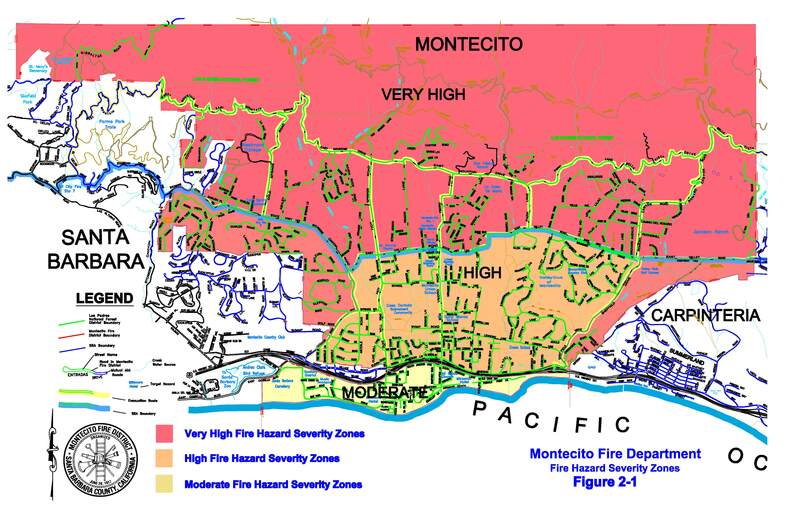 This map depicts the predesignated Evacuation Zones for the Montecito Fire Protection District. It is important to understand that the designated evacuation routes are subject to conditions and may not be available during any given emergency. Please make it your responsibility to know every possible route of egress from your location. This map depicts the jurisdictional boundaries in and around Montecito. 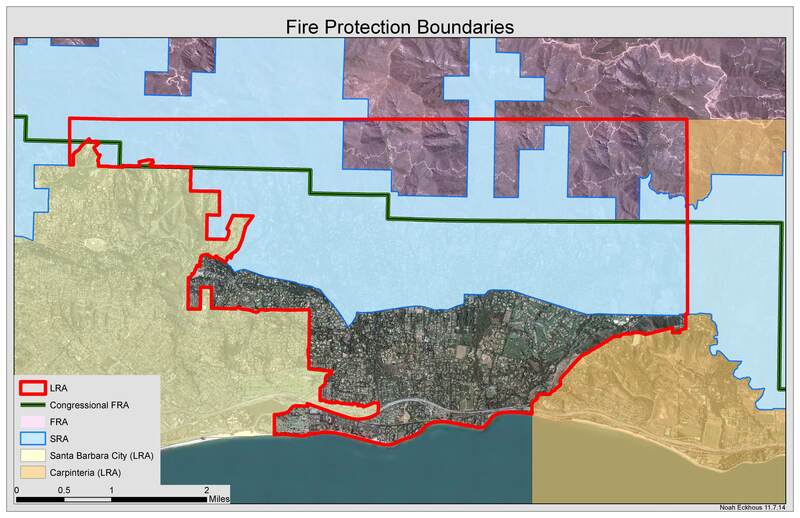 Fire Severity Zones are defined in the Montecito Fire Protection Plan. 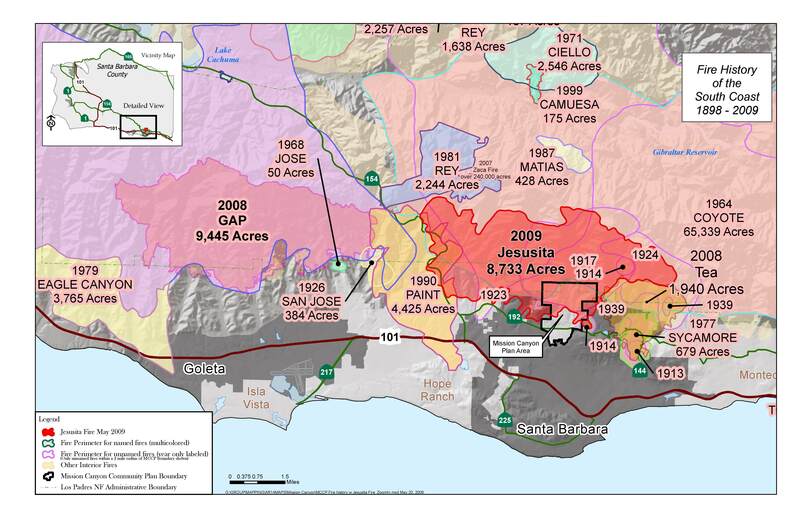 This map depicts all documented wildland fires in southern Santa Barbara county between 1898 - 2009.